When I was pulling together my fav songs of 2018 playlist, I realized a small flaw in my system of tracking new music. There are a couple of weeks worth of songs that cross over the new year. Playlist #14 has a few songs from the end of 2017 and a few from the beginning of 2018. This means that I when I hit on a song that I loved, loved, loved, I had to confirm its release date before I could add it to the 2018 list. But it also meant that I was reintroduced to a few tracks that I absolutely adored when they came out but lost track of as I waded through what 2018 had to offer. 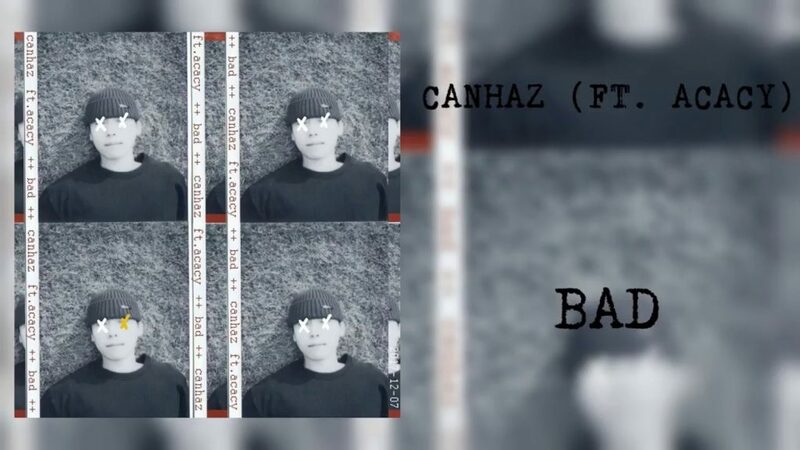 One of the songs that caught my attention again was Bad by the underground rapper Canhaz featuring a second underground rapper named Acacy. I seriously know very little about either of them outside of the fact that I love so much of what they’ve put out. There isn’t a ton of information that pops up in the more mainstream Korean music news so I have to remember to continually go back to their Soundcloud or iTunes pages to see if there are any new releases (and there are, and they’re amazing). But this one is the one that initially caught my attention and started my need absorb more. This is where I run into trouble as I chase somewhat obscure rappers and groups down rabbit holes into hip hop wonderland. I can’t find any information. My need to learn everything about someone goes unquenched. I am forced to just sit back and listen. To enjoy. I guess that’s not such a bad thing, but it’s hard for me to do. It’s a learning experience. It pushes my comfort zone. So I suppose has its own positives as I continue to grow as a human. It’s not so….wait for it….Bad. Can I haz Canhaz? This song is so, so pretty!